For existing IT businesses looking to expand into the cloud computing sector, a dedicated .cloud domain name will guide your customers to the products and information they require. Buy your new domain name with 1&1 IONOS and secure your place in this rapidly expanding community. Your perfect .cloud domain is just a few steps away - simply supply your personal details to 1&1 IONOS and we will do the rest for you. IT businesses are extremely common and so it is important to be dynamic and adaptable. Registering domain names like www.simplestorage.cloud or www.advancedstorage.cloud will give your business a progressive new stance. The cloud' is a widely-used term across multiple technology sectors, from hosting and servers to backup, storage and brand-new cloud computing applications. Cloud covers a diverse set of IT solutions, with incredible potential for businesses worldwide and virtually unlimited opportunity for growth. Now with .cloud, you can showcase your place at the forefront of Internet innovation. So whatever you do, if you do it in the cloud – show it! How can a .cloud domain benefit my online presence? A .cloud web address gives you the opportunity to strengthen the association of your brand with the cloud industry. With .cloud, you can ensure that potential clients are instantly aware of the cloud products you have to offer, and make your website more prominent in search engine results. Who knows where cloud technology will be in a few years? Now is the perfect time to secure your reputation with a domain name that customers will associate with the cloud. 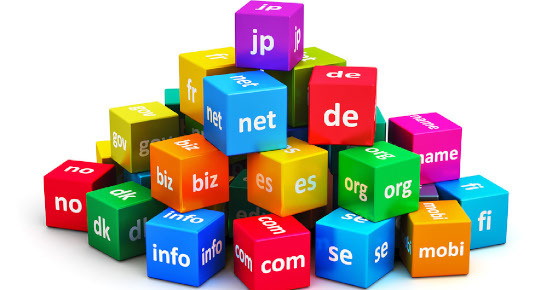 What kind of businesses are suited to a .cloud domain? The cloud industry covers a huge range of products and services, so if you're in the IT business, it's highly likely that you're involved with cloud computing in some way. The cloud is constantly expanding – from established hosting services and storage to cutting-edge cloud technology. So whatever type of cloud solution you're selling, developing or promoting, highlight your place in the cloud with the perfect domain!